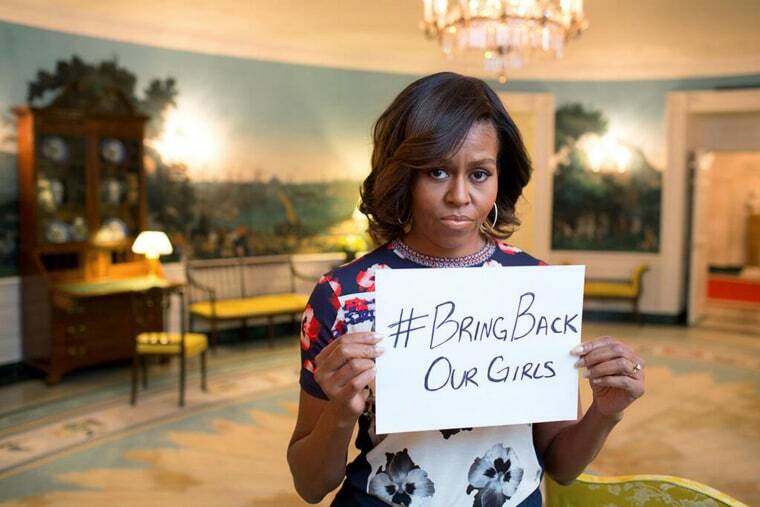 First lady Michelle Obama tweeted a message in support of the kidnapped Nigerian schoolgirls on Wednesday. Malala Yousafzai, the Pakistani teenage activist who survived a Taliban assassination attempt, also spoke up for the missing girls, in an interview with NBC News. On April 14, militants with the Islamic fundamentalist group Boko Haram reportedly attacked the Government Girls Secondary School in the northern Nigerian town of Chibok and kidnapped nearly 300 girls.